Jeeps were born for the battlefields. Before the first commercial Jeeps were unveiled in 1945, the U.S. Army found that the Willys MB model was its preferred primary light four-wheel-drive vehicle. At Just for Jeeps, we've had the honor of talking to Jeep drivers who also served in the U.S. Armed Forces. They were the ones who explained a mystery behind the Oscar Mike logo on some Jeeps: Oscar Mike is radio jargon for "on the move." We love that, because it defines the spirit of Jeep drivers. We're proud to offer an Oscar Mike Spare Tire Cover that proudly displays that message. It's made by OEM Mopar, so it's the exact logo found on the patriotically-themed Wrangler Freedom Edition. The white printing is boldly visible on the tire cover, made from a black soft-top material that will grip your spare like a vise and protect it from damage. Whether you're restoring a Freedom Edition to its showroom status, or want to add a positive patriotic statement to your Wrangler, the Oscar Mike tire cover will ensure everyone around you gets the message. I received my item in a timely manner and immediately added it to my Jeep. It fits snuggly and looks great! I wish I would have made this purchase earlier. Glad to see a tire cover that is unique to my Freedom Edition JK 2 door. I didn't realize what a rare jewel I had! Everyone asks me what Oscar Mike means as it seems new to all who see it. Mine is Firecracker Red and the tire cover emphasizes it's rarity from end to end. Supporting a great cause and protecting my Spare! (2013 Jeep Unlimited Rubicon). I recommend this product as it fit true to size and even though some initial fading has shown in the New England Summer months, this cover displays the name of a veteran's organizations that supports my bothers and sisters in arms that have given so much and will struggle with injuries and lost limbs for the remainder of their lives. 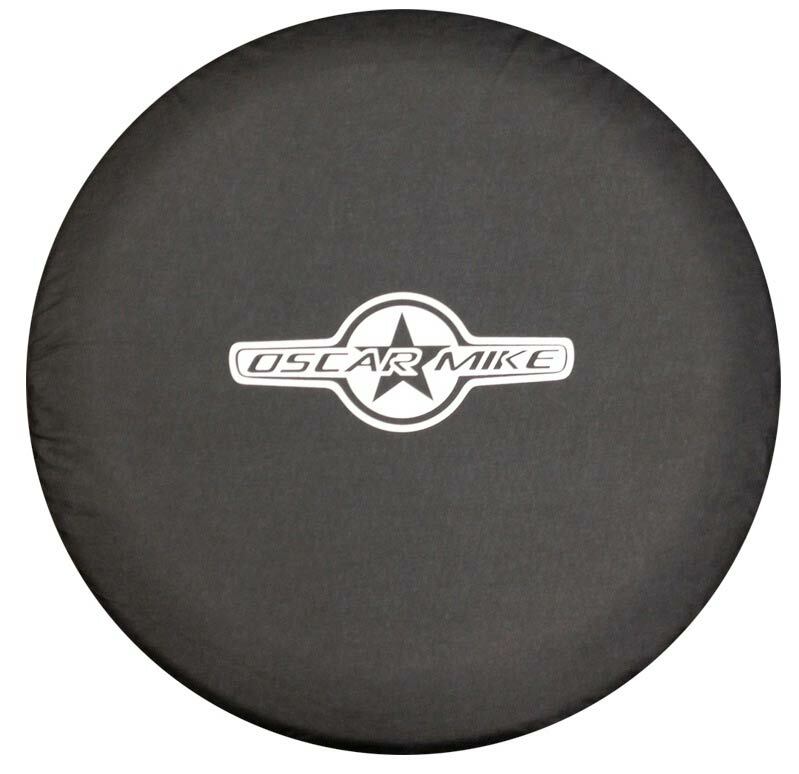 If you don't have a jeep but know someone that does; or just someone in need of a tire cover, support the Oscar Mike Foundation! Good product, great mission! Conscolor fades... what doesn't though?